Phillip Rucks Citrus Nursery is an exclusive grower of Flordaguard Peach rootstock developed by the University of Florida for low chill peaches. Identifying a disease-resistant rootstock for peaches has always been a challenge until University of Florida developed Flordaguard rootstock. Flordaguard is root-knot nematode resistant with a winter chilling requirements between 100 and 300 chilling hours. Rootstocks have been used in many tree fruit systems to provide growth advantages or pest or disease resistance without affecting productivity and fruit quality. In Florida, peaches are grown on rootstocks that specifically provide pest resistance to the peach root-knot nematode, Although several root-knot nematode-resistant rootstocks are available for stone fruit grown in other locations and climates, ‘Flordaguard’ peach rootstock is currently recommended for stone fruit production in Florida. ‘Flordaguard’ is recommended for low-chill peach in nonalkaline soils infested with peach root-knot nematodes as well as other types of nematodes. ‘Flordaguard’ trees often fruit in the second year, and they produce many self-fertile flower buds. Trees have long, whippy growth and branches may need additional support to bear heavy crop loads. Like most peaches, ‘Flordaguard’ is self-fertile. 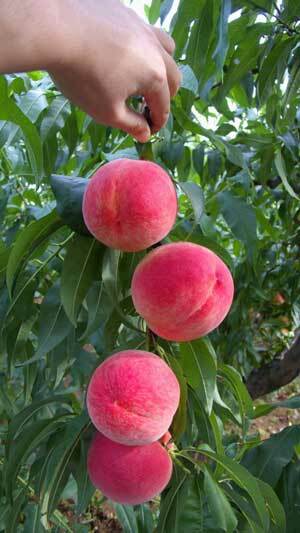 Although peaches self-pollinate, pollen from different varieties can fertilize ‘Flordaguard’. ‘Flordaguard’is a versatile rootstock propagated across many different varieties that make them an excellent choice from a shipping and marketing perspective.